August 2017 saw one of the most extraordinary buildings in Britain reopened after a £19million restoration. 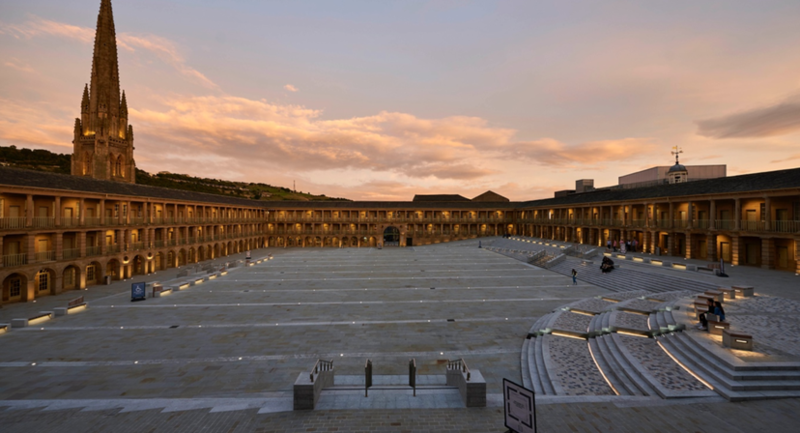 The Piece Hall in Halifax is a unique Grade I listed building dating back to 1779, originally built to support the trading of ‘pieces’ of cloth. 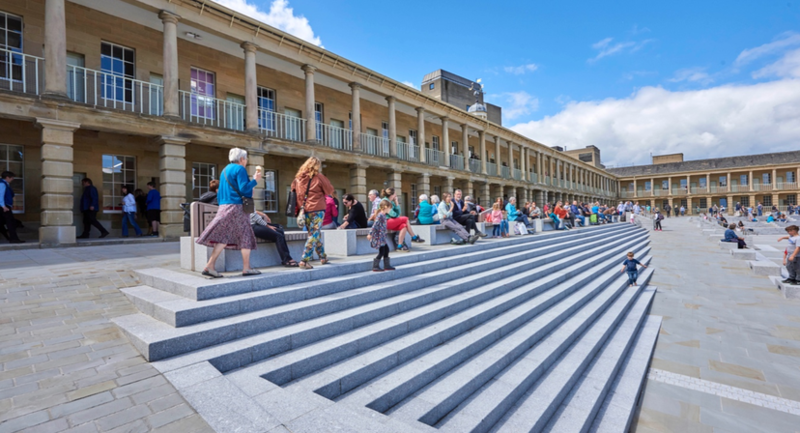 Now transformed into a 21st Century town square, The Piece Hall is a place for everyone to enjoy. The princely architectural gem in the heart of the town is a magnetic destination: a place where people meet and all paths cross for work, pleasure, business, leisure, arts and entertainment. The immense, open air square is enclosed by a mix of independent bars, restaurants, shops and cafes. 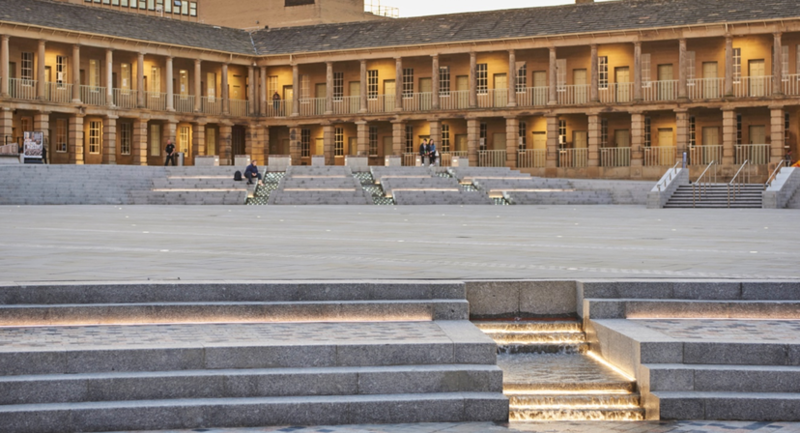 The stunning Georgian Hall is home to one of Europe’s great public squares, whilst the all year-round events programme attracts visitors from far and wide for events that can welcome up to 7,500 people. There is nowhere like it in the world. The monumental Grade I listed structure is the only surviving intact cloth hall in the UK and an iconic symbol of the important role played by Georgian Halifax at the booming centre of the world’s woollen trade. 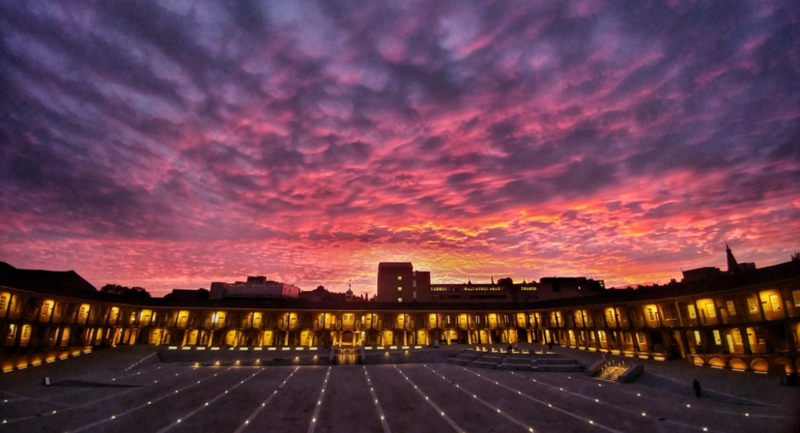 Whilst Yorkshire’s international reputation as a compelling destination takes hold, The Piece Hall enters its most exciting chapter in decades. From our splendid 66,000 sq ft courtyard to our newly launched Caygill Rooms or the intimate Hive we’ve got something quite special for all your venue needs. 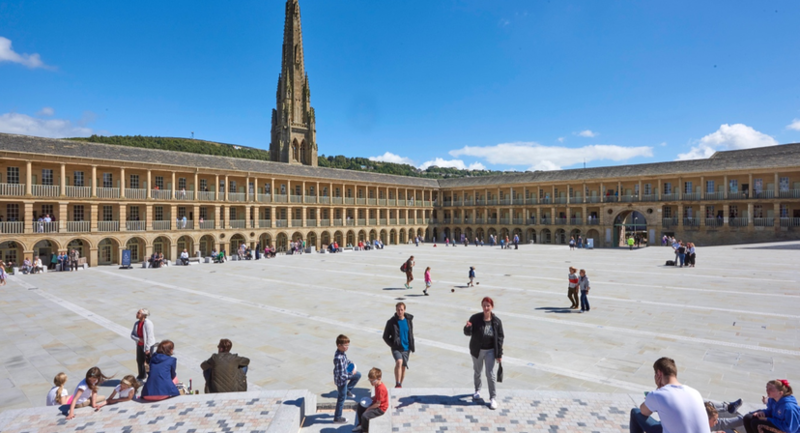 The Piece Hall is open every day except Christmas Day. Suitable for “away days”, training sessions, workshops and presentations. 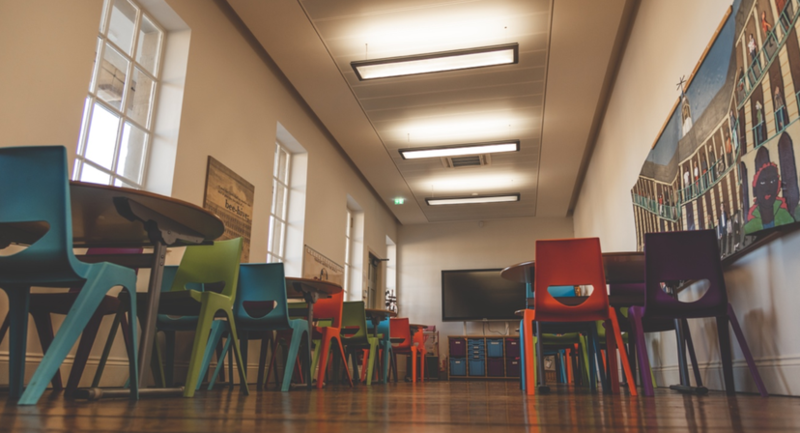 This room is our main teaching space and works well classroom-style. Capacity approx. 30 people – round tables with chairs seating 5 per table. Interactive touch-screen whiteboard with USB and HDMI cable for laptop connection. Access to Wi-Fi. Price: half day £80 / full day £130. 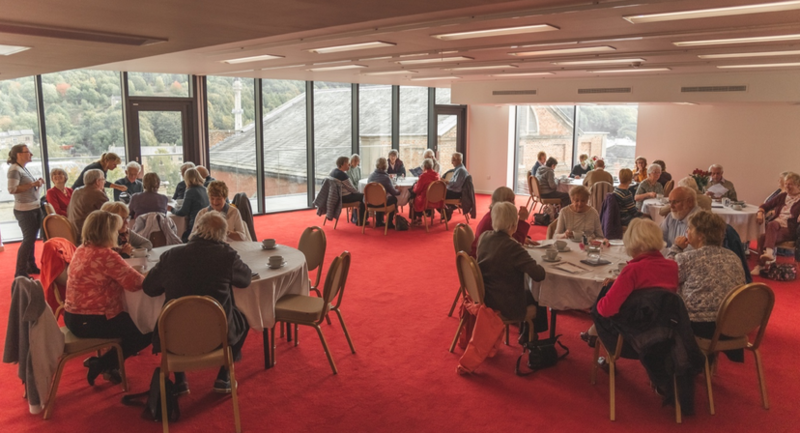 Menu options are available from The Piece Hall Deli, starting at £3.50 p/head for tea & coffee. Catering can also be provided by our tenant bars and restaurants, or through approved external caterers. This can be discussed at time of booking. 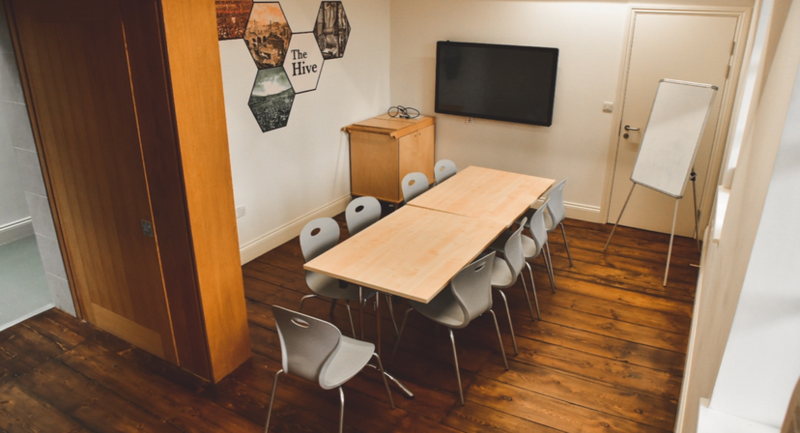 Equipment such as portable screen, projector and flipchart are available on request. Additional charges may apply - please advise at time of booking. This oblong shaped room is an ideal space for meetings “breakout” sessions. Capacity approx. 12 people. Apple TV screen with /USB and HDMI cable for laptop connection. Access to Wi-Fi. Features tables and chairs. Our Colonnade Suite; Located on our upper level boasts a balcony with stunning views over Halifax. A perfect space for celebrations, workshops, meetings and product launches. Use of Long Gallery as a reception area. Restrooms for exclusive use of Colonnade Suite guests. Access to Wi-Fi. 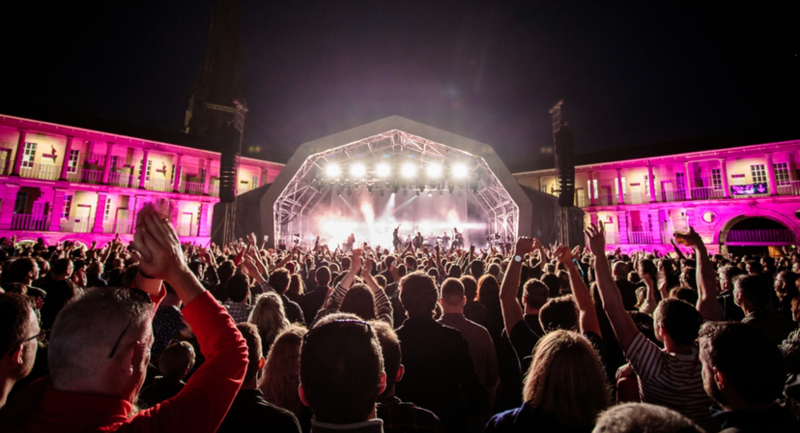 The Piece Hall’s magnificent 66,000 sq ft courtyard is available to hire for large private events such as gala dinners, product launches and corporate receptions. 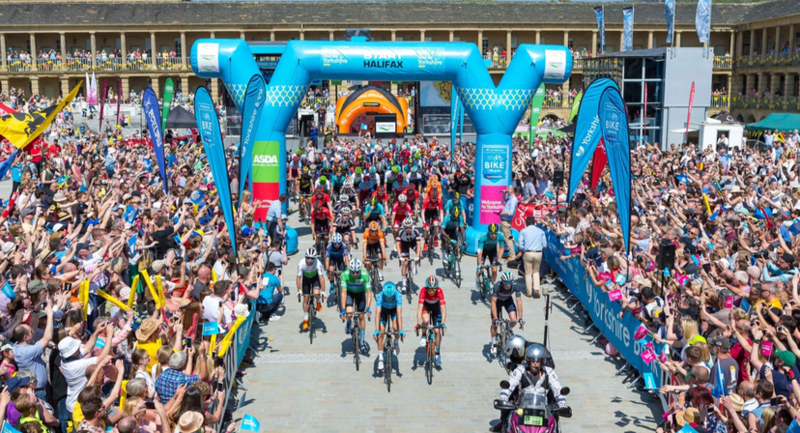 These will normally involve working with an external events management company, as well as the Trust team. Fees to hire the courtyard are bespoke, depending on the nature of the event, the infrastructure involved and other factors which may impact the site. For example, daytime hire (with courtyard still open to the public) starts from £2,000 for the site only. All additional costs will need to be covered by the hirer.